Acids, Enzymes and Scrubs: Which Exfoliant Should You Use And How Often? Exfoliant: a cosmetic product with ingredients intended to remove dead cells from the skin’s surface. This then reveals a clearer, smoother and more even-toned complexion. Whether it’s an acid, enzyme or granular bead, these are commonly found in skincare products because they’ve become a staple in home regimens. 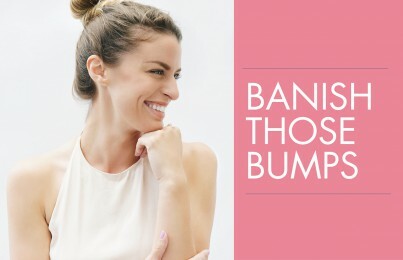 They offer incredible immediate and long-term visible improvement for so many common issues: from unclogging trapped pores and bumps that lead to blemishes, fading acne discoloration and sun spots or simply lessening dryness. However, with so many different types of exfoliants and the various forms in which they come, it’s hard to determine what’s best for your skin type. And how much exfoliation is TOO much? Here’s the ultimate guide to getting the best results from exfoliants—without over-doing it. Yes, over-exfoliation is a common problem. I see it all too often, trust me. Over-exfoliation leads to less-than-healthy skin, so you really have to be careful. I’ll start by sharing all the different types of exfoliating ingredients and products. At the end, I’ll give my thoughts on getting the perfect amount of exfoliation, which is not too much and not too little. A quick history of my own experience with exfoliants. Yikes! Back when I was a teenager in the 1980’s, I scrubbed my skin with a Buff Puff. Who remembers those? Ouch! (I use the word “scrubbing” because the word “exfoliant” or “exfoliation” wasn’t even used in the skincare world yet!) First, I applied a harsh, overly-drying foaming face wash and then went to town on my skin. I was a teen with blemishes, so scrubbing them off seemed like a good idea. However, my young sensitive skin was never happy with the result; this only irritated my zits further. Then there was the St. Ives Apricot Facial Scrub. Essentially, apricot pits were ground into tiny pieces then put into a cream base. You scrubbed the resulting mixture over your face to lift off dry cells and give a smoother texture. In reality, the scrub was pretty harsh; it got a bad rap over the years from causing micro-tears in the skin due to the apricot pits’ sharp edges. When I became an esthetician, I certainly advised my clients to avoid it. The company later replaced the sharp grains for a gentler (although still not entirely gentle) walnut husk powder. Then in 1992, I got my hands on a pure, 20% AHA glycolic acid gel. This was revolutionary at the time because these acids were fairly unknown, even among skincare professionals. I’ll never forget the time I first used it. It was not a product for at-home use, rather it was meant to be used as a professional exfoliating peel. I applied it to my face, and it tingled a lot so I knew it was strong. Per the instructions, I rinsed it off after 10 minutes and proceeded to wipe over my skin with a damp washcloth. As I was rubbing, I noticed that my skin was peeling off. I actually got excited and said, “Wow, this stuff really removes dead skin!” Come to find out, I was actually wiping off new cells. When my skin dried, it was oozing badly and was really painful. For a week, I had scabs all over my face, and it took months before the discoloration faded. It was a nightmare, especially as an esthetician, since I’m expected to have perfect skin and be a role model for my clients. I still use acids faithfully to this day, but of course, I now know what NOT to do! As for me being a role model, I do have some other skin sins. I’m only human. BHA’s (salicylic acid and betaine salicylate) are oil-soluble molecules and work deeper within the pores to exfoliate. This makes BHA’s helpful for lessening clogging, dead cells within the pore lining that lead to breakouts and blackheads. Are there are other types of BHA’s? Yes, there is one, and it’s called butyric acid. It’s found in the odor that rancid butter emits, so it’s obviously not something you would use on your skin! Just a fun little fact that I recently learned at UCLA during a cosmetic chemistry class I took. Note: If you’re pregnant, your doctor may suggest to hold off using BHA’s so be sure to consult with him or her. To work most effectively at home, an acid must fall within a pH range of 3-4 and be at a concentration of 5%-20%. What I love about acid exfoliators is that they do the work for you. Meaning, you don’t have to rub and tug at the skin manually. They are also much safer, as long as you use a formula with a proper pH and percentage that is appropriate for your skin type. You put them on and let them work their magic. No fuss. Who acids are best for: These are best for anyone with clogged pores, blemishes, blackheads, dryness, flakiness, fine lines, wrinkles, large pores, dullness, discoloration and/or a rough texture. They are perfect for anyone seeking an overall healthier and smoother look for his/her skin. Of course, you’ll want to use one that is formulated for your skin type (take my Skin Type Quiz) and follow usage directions carefully. However, anyone can safely use acids—even those with rosacea. NOTE: A tingling sensation may or may not occur when you apply an acid. This is not an indicator of product effectiveness. Rather, a tingling sensation is a result of how your skin’s protective barrier is acting at the time that you use the product. It can indicate that the barrier function of your skin is compromised. It’s very common that people will feel the tingling sensation when they first start using it and then it dissipates after a month or so. 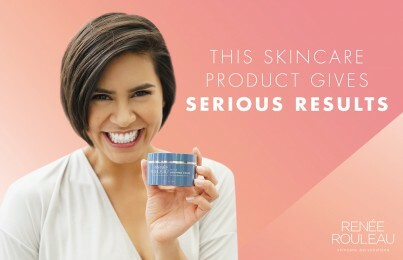 People tell me “I don’t feel like it’s working as well anymore because I can’t feel it sting like I did when I first started using it.” The truth is acids, when not overused, can actually repair your skin’s moisture barrier so your skin will actually get healthier and be less reactive with continued use. You don’t always need the pain to get the gain! Cleansers. Acids can make a great addition to gel or lotion-based cleansers and when massaged over the skin can quickly dissolve dry cells. Since cleansers are rinsed off fairly quickly, though, you won’t get a lot of exfoliation from them. You’ll want to be sure to also exfoliate using a leave-on product for maximum effectiveness. Liquid toners. These are becoming more popular and provide a quick hit of light exfoliation. However, I believe these do not replace the need for a true leave-on formula with a thicker viscosity (thickness), like a serum or cream. This is because water-based products evaporate too quickly and won’t penetrate very deep—even if you feel an immediate tingling sensation. Plus, many acid-based toners only use a small percentage of acids so they can be fairly weak. (Of course, all formulas are not equal so I’m generalizing here.) 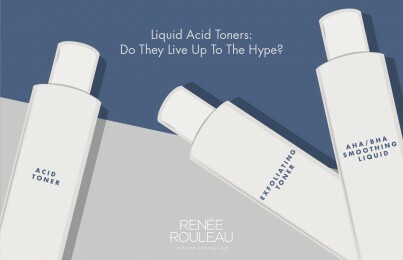 Read my full review of liquid acid exfoliating toners. Note: In an effort to not over-do any exfoliation efforts, I do NOT recommend using an acid toner followed by an acid serum or acid cream. The combination is simply too strong. However, for retinol users who don’t have sensitive skin, using an acid toner before applying a retinol product can help the active ingredients penetrate deeper into the skin. Serums. Unlike creams, serums have the smallest molecules, so they penetrate the skin’s surface most effectively. They are my absolute favorite way to thoroughly saturate cells to get the best results. Serums enter the dermis when applied to the skin and followed with a moisturizer. Due to their viscosity, they can work for a longer period of time than acid-based cleansers and toners do. Check out these acid-based serums. Creams. While moisturizers have larger molecules, AHA’s formulated within a cream texture can still be effective for surface exfoliation. However, when it comes to BHA’s, where they have better capabilities to get in the pores, creams with salicylic acid will not be very effective. I see fewer and fewer acid-based face creams these days since serums are much more efficient. Masks/Peels. Exfoliating masks are great for that quick hit. Like serums and creams, they hug onto the skin due to their thicker viscosity. Masks typically only stay on the skin for 5-15 minutes. Therefore, their formulations are stronger since they have to work more quickly. This is a good thing when you want quick results. Note: Some companies make a 2-step wipeable “peel” treatment. First, you wipe with a water-based, acid liquid which has a similar consistency to that of a toner but saturated in a pad. They also usually contain Denatured Alcohol or SD Alcohol 40. I don’t recommend this for home use as it’s usually too drying and irritating for sensitive skin types. Daily use is often suggested, which makes it even drier. Next, you wipe over the skin with a neutralizer to calm and restore the skin’s pH. There are many ways to safely exfoliate using acids but doing so daily with something that uses drying alcohols is a total no-no in my book. Body products. A few specialized scrubs, serums and lotions on the market contain AHAs to help manage the skin condition called keratosis pilaris (KP). This is a condition in which small tiny bumps appear, causing a rough, red texture. Regardless of whether or not you are someone with KP, using these types of exfoliating body products will dramatically smooth the skin and manage dryness that comes with age. I use Smoothing Body Serum faithfully, three times a week under lotion. It makes the skin on my body look so healthy and glowy. Eye products. Yes, you need to be exfoliating around the eyes, too. Especially if the skin looks dry and crinkly. Overnight Eye Serum is amazing. Recommended acid exfoliators: I am very proud of the alcohol-free exfoliating acid serums, cleanser, and mask that I have created. These truly deliver results, and I recommend that all my clients use them on a regular basis. BHA Clarifying Serum – This advanced treatment uses oil-reducing zinc along with a 15% blend of salicylic, lactic and glycolic acids to lessen blemishes and bumps. Reveals clearer, calmer and more even-toned skin. Ideal for skin types #1 and #3. Ultra Gentle Smoothing Serum – This exfoliating serum uses a 10% lactic/glycolic acid blend to gently lift discoloration and dryness to reveal smooth and even-toned skin. Soothing ingredients keep skin calm and comfortable. Ideal for skin types #5 and #9. Pore + Wrinkle Perfecting Serum – This advanced serum uses a 17% glycolic/salicylic/lactic acid blend and niacinamide to clear clogged pores, lift discoloration and soften lines. Skin will be brighter, clearer and smoother. Ideal for skin types #2, #4 and #6. Pro Results Power Serum – Repair the skin’s texture with this powerful blend of 20% lactic, glycolic and mandelic acids. Gently lifts surface sun damage discoloration and reduces visible lines and pore size to reveal smoother skin. Ideal for skin types #7 and #8. Triple Berry Smoothing Peel – This exfoliant uses acids and enzymes to visibly fade discoloration, clear clogged pores, and smooth fine lines. Layer by layer, it lifts away dullness to reveal brighter, resurfaced skin. Ideal for skin types #3 and #4. AHA/BHA Blemish Control Cleanser – This sensitive skin cleansing gel is formulated with salicylic, glycolic and lactic acids to dissolve surface cell buildup. The added benefit of natural jojoba beads polish and smooth clogged pores and bumps. Prevents the appearance of blemishes and fades post-breakout scars to reveal clearer and more even-toned skin. Ideal for skin types #1 and #3. Want to try an acid exfoliator? Read these 8 tips to ensure you’re using acids correctly. How they work: Dead cells are what comprise the top layer of skin. These dead cells contain a keratin protein that makes the skin feel rough to the touch. When you apply an enzyme product to the face, it dissolves and digests the proteins into smaller particles to reveal smoother skin. Enzymes are fruit-derived and are absent of acids or grains. This means they can offer a gentler, no-sting, no scrub exfoliating action for sensitive skin types. Pineapple, pumpkin, pomegranate, and papaya are the most common fruit enzymes used in skin care products. While both acids and enzymes will dissolve dry skin cells, there are a few main differences in how they work. Enzymes work more on the surface, while acids slip deeper into the skin’s barrier. Water activates enzyme peels, and they work more slowly to digest cellular buildup. Therefore, they should be applied to damp skin and left on for 15-20 mins. Acids, on the other hand, can be applied to dry skin. When used in a peel, they can work in as little as 5 minutes. Who enzymes are best for: While exfoliation will always improve skin conditions like clogged pores, blemishes, blackheads, dryness, flakiness, fine lines, wrinkles, large pores, dullness and discoloration, enzymes are a good option for those who have already tried acids and found their skin could not tolerate them. Recommended enzyme exfoliator: I have developed an enzyme peel that works incredibly well. Even though this isn’t necessarily for my skin type, I still use it occasionally. It gives my skin a break from acids and delivers a different type of exfoliation. Dual Enzyme Softening Peel – Formulated for sensitive skin, this gentle exfoliant uses natural enzymes of papaya and pineapple to smooth away dry cells and lift discoloration. It restores skin to a fresher and more youthful appearance. Ideal for skin types #5 and #9. How they work: Facial scrubs are cream or gel-based products that contain small particles or beads. When massaged across the skin, they help smooth it by lifting off dry, dead skin cells. These are also known as physical or manual exfoliators. Other types of these exfoliants include sonic cleansing brushes (Clarisonic), razors and washcloths. When maneuvered over the face, the bristles, blades and woven fibers also lift off expired cells. Physical exfoliators make a great complement to acids and enzymes. Acids and enzymes dissolve and loosen dead cells, but it’s the lifting action that you can get from a physical exfoliator that actually takes them off the skin. I suggest using them 1-2 times per week for most skin types, whether that’s a scrub, Clarisonic-type brush, razor or a washcloth rubbed firmly over the skin. If you’re not using any other exfoliants, you can up this to five times a week. Read my Clarisonic review. Who physical exfoliants are best for: For all skin types, even sensitive skin. The key with facial scrubs and other physical exfoliators is to use a very light pressure. Let the beads gently glide over the skin. People often make the mistake of pushing too hard, which can result in the skin feeling irritated and looking red. You’ll always want to avoid using plastic beads. Mint Buffing Beads uses perfectly round jojoba beads that gently roll over the skin and do not cause irritation. They are also more environmentally-friendly because they are not made of plastic. Always check the ingredient list; use scrubs with hydrogenated jojoba oil, jojoba oil, jojoba esters or jojoba wax beads (these should appear near the top). Jojoba beads are far superior to any of the naturally made grains like apricot kernels, sugars, salts and natural seeds/shells. The latter can cause irritation due to their sharp edges that cause micro-tears in the skin. PRO TIP: Facial scrubs also work very well to keep the skin on the neck smooth. When exfoliating the neck area, make sure to look upwards so the skin on the neck is nice and taut. This makes for easier use. Exfoliate the area three times a week at night and be sure to follow with a neck cream to nourish those fresh, newly-revealed cells. Your skin needs a certain number of protective layers to keep the skin in a healthy state and retain its natural moisture. With the rise of consumer access to products that can truly create a visible change in the skin, exfoliating too often with rotating brushes, acids, enzymes and scrubs may be harming and inflaming the skin, more than you realize. How often should you exfoliate? For most skin types, I do not recommend using a leave-on exfoliator or a facial scrub on a daily basis. Sometimes those with thicker, oilier and acne-prone skin can withstand daily exfoliation for a while until things clear up. Regardless, you’ll never get the best results by giving your skin the same thing day in and day out. Your skin’s integrity thrives off of a variety of performance ingredients. Here are my general rules when it comes to exfoliation. Use an exfoliant no more than five times a week. 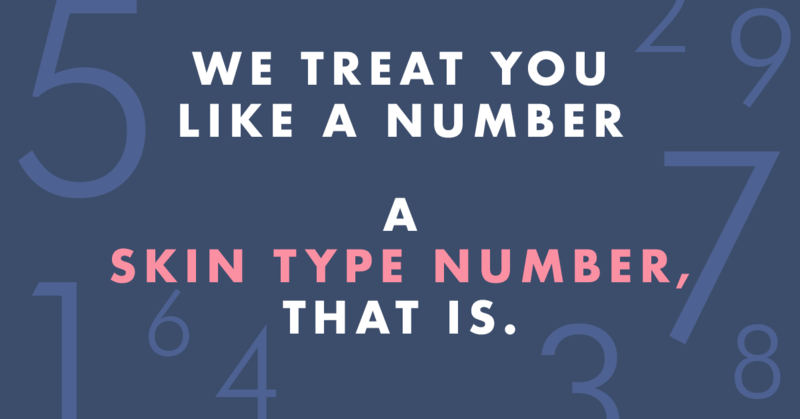 When it comes to making recommendations for the skin, it’s always hard to generalize for all skin types but for most, 4-5 times a week is plenty. Whether that’s in the form of a facial scrub, serum, mask or whatever, you’ll want to stay within this range. Based on my exfoliating product preferences (serums, peels and gentle scrubs), here is a week of exfoliation. Use all of the following acid-based serums in the evening. 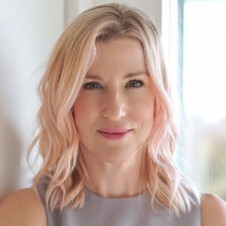 If you’re using a retinol or retinoid product, then this routine will change. You can read more about how to incorporate this type of product into your evening routine here. You’re using an exfoliating serum for three nights on, three nights off, alternating with a specialty serum for your skin type. On night #1 of using an exfoliating serum, the action is like “breaking through the concrete.” Meaning, your exfoliating serum is dissolving cells from the very surface. On nights #2 and #3, it works deeper within the skin’s surface for a more thorough exfoliation. Thursday-Saturday nights are when most people are out and about at parties, events and other special occasions (and, therefore, want their skin to look its best). The three nights of exfoliation prior will cause the skin will look exceptionally smooth over the weekend. Also, Thursday-Saturday is when alcohol consumption is more likely, so using nourishing and hydrating serums is most beneficial. So there you have it. I think you get the idea that using exfoliators is super beneficial! If you’re not using one, get on it right away. If you think you’re using them way too much, then back off a bit. Again, five times a week is plenty. Here’s what NOT to do: The one thing I see and hear that literally makes me cringe is those who use a Clarisonic brush (along with a cleanser), then follow it with an acid-based toner MORNING AND NIGHT. You’re getting exfoliation from the brush then also from the toner twice a day. That adds up to exfoliating fourteen times a week. Way. Too. Much. Even if you feel like that improves the look of your skin, I’m here to tell you that the skin needs those protective layers to be healthy. This over-exfoliation creates way too much inflammation within the skin—even if not visible. And inflammation is the underlying cause of skin aging. Your skin’s protective barrier MUST stay intact in order for the skin to stay in a healthy place. Go easy, my beauties! One final thought. Retinol or prescription retinoids are technically not exfoliants, though many people think they are. When used for long periods of time (months and months), they can reveal a smaller-pored, less-lined texture. However, they don’t offer the quick smoothing results that acids, scrubs, and enzymes do because they work in a much different way. I recommend retinol and retinoids all the time as they are a great complement to exfoliants. Read my Beginner’s Guide to Using Retinol or Retinoids.